Looking for a tight suspense thriller? 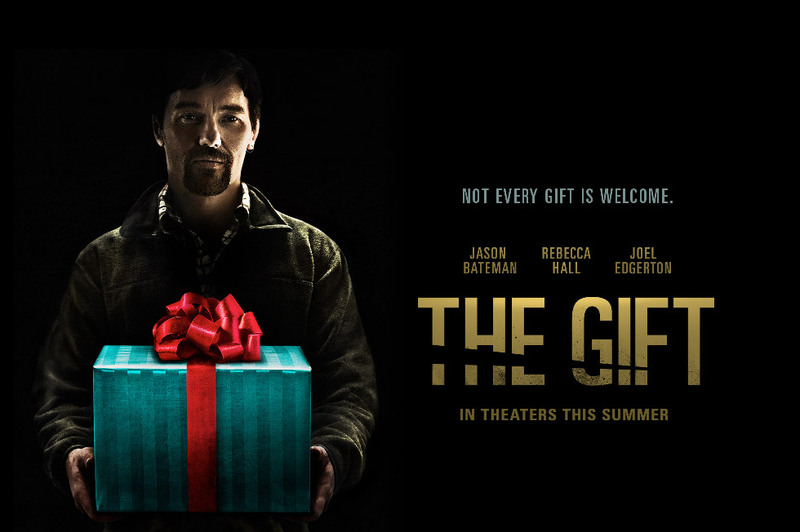 Look no further than The Gift, the weak-titled, but strongly-executed directorial debut of the ever-fascinating Joel Edgerton (who also wrote and stars ). The trailer is not a trailer, but a spoiler, so don’t even watch it. You’ll know far too much at the outset. The one thing I didn’t know even after watching the trailer is that Joel Edgerton was the mysterious, creepy bad guy. Edgerton is a changeling, so you’ve seen him in several movies (The Odd Life of Timothy Green, Zero Dark Thirty, The Great Gatsby, Exodus), but if you don’t do your preparatory movie homework or stay for the credits, you may not even realize who he is. I first became aware of Edgerton in The Great Gatsby where he was acting everyone else under the table. I’ve since discovered he has a fierce fan following (which I have joined). But on to the film. In actuality, The Gift is a psychological thriller, a character study of people who are relatable and not over-the-top. It’s an intimate drama among the high-powered and ambitious Simon (the always on point Jason Bateman), his apprehensive wife, Robyn (the luminous Rebecca Hall, who, of necessity, carries the entire movie with her every blink and wistful twist of her mouth), and the gift-bearing interloper, Gordo (Edgerton), who, like a bad penny, never seems to go away. The movie begins with a supposed fresh start for Simon and Robyn. They move into their stylish California home high in the hills with their dog and baby paraphernalia (but there’s no baby or pregnancy, so the waters are troubled from the get-go). Robyn’s face alone tells us she is not 100% at ease. With anything. The modernist architecture featuring outside walls of glass from floor to ceiling make the perfect ambiance for peeping Toms (or peeping Gordos), and the perfect metaphor for the false transparency of all our lives. We think we know what’s going on. But do we? The saddest truth in The Gift is the way men lie to women, or rather often just keep them in the dark. The way men talk over women’s heads to each other. How it’s really about male competition and women are the spoils of war. Robyn is greatly loved, cherished and respected, she’s just not part of the conversation or privy to the bigger picture. But Robyn’s utter honesty and integrity shine through. She may seem a bit passive, naive, timid or unsure of herself at first (which she might be), but it’s also her sensitivity, humility, kindness and uprightness that knows something isn’t right, and she patiently sits with that till the truth comes out–well, most of it. There are a few non-sequiturs and hard-to-follow plot points, but they don’t majorly detract from the overall story. You will turn the ending over and over in your mind, telling yourself that the supposed dilemma of the ending can be fairly easily resolved–which our filmmakers may realize. However, the ending still works well on many levels. There is an extreme dearth of music, which rivets our attention on the actors every move and word. When the music kicks in, it’s minimalistic, modern, and the dischordant, grating, scathing violins are perfect. The color cast is today’s browns and blues, which seems to work well for darker fare. Reviews are calling this film “chilling,” but I wouldn’t go that far. It’s more “consistently disturbing and uncomfortable.” We are never allowed to relax. There are no easy moments, except for a handful of quick laughs. Even though there are a few jolt-in-your-seat moments, the real horror is what ordinary people are capable of. People’s philosophies of life are revealed, some explicitly. What happens when we stick unswervingly to a rotten philosophy of life? How responsible are we for how we shape, affect and possibly ruin other people’s lives? Who is truly the insecure loser–the bullied or the bully?